Are you still on the fence about purchasing a water softener? Well, you have every right to be. After all, this is a pretty big investment for your household. So it’s understandable to have plenty of questions and considerations before making the plunge. So with that said, we’ve put together a water softener FAQ to answer all your questions (stupid and not-so-stupid) you have on the topic. So, join us to see if a water softener is a good fit for you and your home. 2 Should I Get a Water Softener or a Filter? 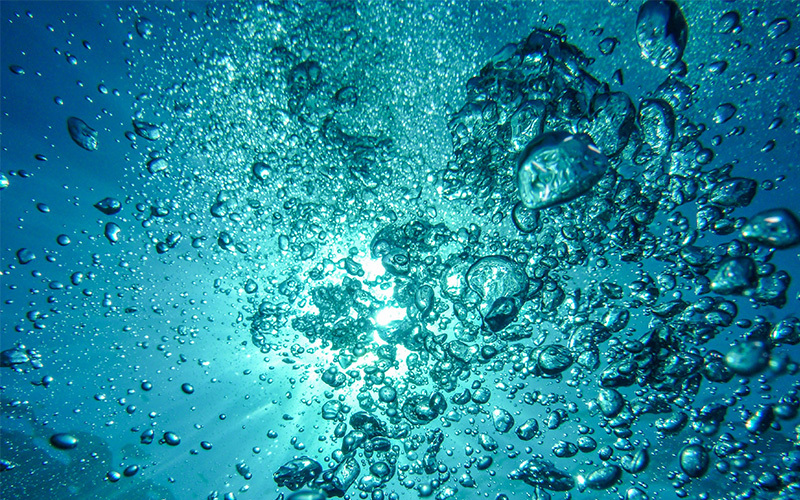 3 Do Water Softeners Reduce Water Pressure? 4 Do Water Softeners Add Salt to the Water? 5 Does Softened Water Raise Blood Pressure? 6 Is Softened Water Good For Your Skin? Can a Water Softener Cause Itchy Skin? 7 Is Softened Water Good or Bad for Your Teeth? 8 Does a Water Softener Remove Chlorine? 9 Will a Water Softener Remove Manganese? 10 Are Water Softeners Bad for Copper Pipes? 11 Will a Water Softener Remove Calcium From My Pipes? 12 Can I Use Softened Water in a Car Radiator? 13 Does Softened Water Damage Combi Boilers? 14 Is Water Softener Salt Edible? 15 Can Softened Water Cause Hair Loss? 16 Do Water Softeners Add Sodium To Drinking Water? 17 Can a Water Softener Make You Sick? Here’s the quick answer: If you live in a hard water area, then you’ll want a water softener. However, if you prefer to judge from experience check to see if your dishes, appliances, or pipes received any damage as a result of your home’s water. If you’re in a hard water area, there’s a good chance a water softener will remove these problems altogether. As far as specifics go, you shouldn’t need a water softener if your water ranks between 0-3 gpg (grains per gallon) of hardness. At this level, you won’t notice any damage to your household objects or skin. But if you’re numbers are as high as 7-11 gpg (grains per gallon), the water will take a toll on your faucets, pipes, etc. Plus, you’ll also feel an itchy scalp and notice buildup on your dishes. So this is the range where most people start opting for a water softener. Should I Get a Water Softener or a Filter? Depends… what are your water issues? If you’re finding contaminants in your water (metals, byproducts, excessive sediments, etc. ), then opt for a filter. However, if you have hard water resulting from minerals like magnesium and calcium, you’ll want to opt for a water softener. Bonus points here if you’re noticing damage to your pipes, dishes, appliances, and skin! Again, get a water softener if this is the case! Really, both of these tools perform entirely different jobs. But there’s no reason you can’t opt for both. They can. Usually, the reduction in pressure results from resistance in the resin bed. But in most cases, the pressure loss won’t be a noticeable amount. Thus, it’s nothing to really worry about. However, sometimes, you’ll experience water pressure reduction if you’re using an outdoor softener. Everything from sand in your well to algae buildup will contribute here. So, be sure to look out for those factors! Also, chlorinated water can have an effect on your pressure, as it can damage the resin in a softener. The best way to check whether or not your softener is to blame for your pressure drops is to power off your softener entirely. Then, for the next day or so, observe what happens to your water pressure. Do Water Softeners Add Salt to the Water? Really, even in super hard water areas, you won’t see close to the amount of sodium that’s in a teaspoon of salt when drinking a glass of water. Does Softened Water Raise Blood Pressure? In most cases, it won’t. But, keep in mind that excessive amounts of sodium in your diet will raise your blood pressure. So, if you’re in an extremely hard water area (more than 15 gpg), engaging in a high sodium diet, and drinking loads upon loads of tap water a day, then you might see an increase in blood pressure. But again, this is super rare. Switch to a softener that uses potassium instead of sodium. Filter your hard water for drinking (or switch to bottled water). Use a bypass feature/ ask a plumber to disconnect your cold water system from your softener. Is Softened Water Good For Your Skin? Can a Water Softener Cause Itchy Skin? Your skin will thank you for switching to a water softener. Put simply, the magnesium and calcium in your hard water are notorious for causing dry and itchy skin. In fact, once these minerals settle in your skin, you’ll even spot a residue that builds up and makes your skin irritable and uncomfortable. So, a water softener will put an end to most forms of discomfort on your skin. Also, it’s worth noting that hard water outright blocks your pores. So a water softener will reduce the number of blackheads you’ll find on your face as well. Is Softened Water Good or Bad for Your Teeth? Well, water softeners aren’t bad for your teeth.High amounts of minerals (i.e. those found in hard water) in your saliva will cause tartar buildup. And as we all know, this results in unhealthy gums. So, in this sense, a water softener will help you out considerably. The only caveat is that you’re losing out on small amounts of calcium that strengthen your teeth and enamels. But then again, isn’t this where a healthy diet comes into play? No, your water softener won’t remove chlorine or chlorine disinfection byproducts. So you’ll be able to continue to filter your water without any issues. Will a Water Softener Remove Manganese? Yes! Your water softener will remove manganese from your water. And if you want to use some oxidation and filtration for extra good measures here, then go for it! It’s that garbage in high-iron waters that causes stains in your appliances and clothing. It’ll also create a yucky black or purple tint in your water. So, it’s definitely something you’ll want cleansed from your water immediately. Are Water Softeners Bad for Copper Pipes? This one depends entirely on your pH levels. Soft water with pH levels below 8.0 can cause pitting in your copper pipes. But really, this is mostly corrosion, and not those problematic pin-holes that cause leaks. If the corrosion becomes problematic (you’re seeing a bluish tint in your water from the copper sulphates), then there’s an easy solution. Simply use orthophosphate to coat your pipes to prevent any corrosion. Some supplies of water already come with orthophosphate in them! Will a Water Softener Remove Calcium From My Pipes? A water softener prevents the build-up of calcium in your pipes. So that makes the softener more of a preventative measure. Sadly, when calcium builds up in your pipes, there’s not much you can do to remove it. In fact, many government agencies will even forbid plumbers from treating the insides of your copper pipes for safety reasons. One quick solution is to flush a lot of vinegar through your pipes. Otherwise, your best option is getting your pipes replaced after you notice too much buildup. Can I Use Softened Water in a Car Radiator? Yes! In fact, it’s almost recommended. The sodium ions that enter your water harbour no corrosive salts. So you won’t need to worry about damaging your radiator in any form. Plus, softened water lacks the impurities of hard water and won’t form deposits. Thus, overheating won’t be an issue either. Does Softened Water Damage Combi Boilers? For steel combi boilers, you’re fine using softened water. However, for aluminium combi boilers, softened water isn’t a great idea. But then again, this is why you get bypass features installed in your tap when you have a water softener placed in your home. Is Water Softener Salt Edible? Technically, yes. Water softener pallets are made from the same salt that’s used in your foods. However, note that these pallets won’t need to pass through the same regulations that your table salt does to be considered safe for consumption. After all, these pallets aren’t built for you to eat. So consuming softener salt isn’t exactly recommended either. Can Softened Water Cause Hair Loss? Quite the contrary! As we already know, hard water causes a dry scalp. Also, note that hard water results in your hair becoming brittle and less elastic. And when you add all this together, you get a formula that contributes to hair loss. So, a water softener can actually aid in prolonging your full head of gorgeous locks! Do Water Softeners Add Sodium To Drinking Water? Can a Water Softener Make You Sick? No, a water softener won’t make you sick. The only real health concern to look out for here is if you’re on a low-sodium diet. And even at that, you’re not getting high amounts of sodium in your water here. If anything, softened water can actually prevent sickness if you live in a high-sulphate area. The mixture of magnesium and large amounts of sulphate is known to cause diarrhoea. So, are you still debating whether or not to pick up a water softener for yourself? Then be sure to read our FAQ another 2-3 (maybe even 20) times to address any of your concerns. Remember, it’s okay to feel on the fence here. Installing a water softener is a pretty big deal after all. But getting a few extra years out of your appliances is more than worth it. Plus, don’t forget how great softened water is for your skin and hair!